The weather that hits the Orono, MN area throughout the year can definitely cause weak asphalt to wear down. This worn down asphalt can lead to potholes and other damage that can become costly for property owners. 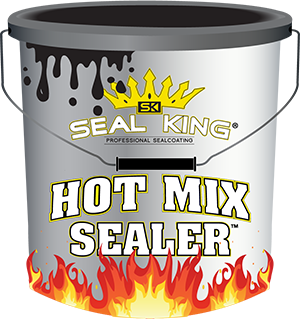 If you’re looking for an affordable way to strengthen your existing asphalt, it’s time to partner with our sealcoating contractors at Seal King Professional Sealcoating. Serving the Orono, MN area, you should take advantage of our highly effective sealcoating services for both residential and commercial properties. There are a variety of things that can cause the asphalt on your property to wear down. Whether it is high traffic, the brutal Orono, MN weather or aging, a professional sealcoating application from Seal King Professional Sealcoating will provide your asphalt with the added protection that it so desperately needs. The extra protection that comes with our sealcoating application far exceeds our competitors. Using premium asphalt sealers with high performance polymer additives allows for our sealcoating applications to hold up against even the most extreme weather conditions. With every sealcoating project that our dedicated sealcoating staff takes on, we make it a priority to get the work done right the first time around. We’re not the type of sealcoating contractor that you’ll be seeing every year for a sealcoating re-application. Instead, our proven residential & commercial quality checklist ensures that you receive the best sealcoating application possible. At Seal King Professional Sealcoating, you can rest assured that no steps will be skipped by our committed sealcoating experts. From barricading your driveway or parking lot to effective oil spot treatment, we’ve got you covered. 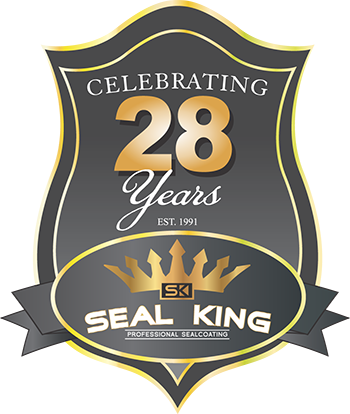 For more than 28 years, our crew at Seal King Professional Sealcoating has been providing reliable sealcoating services to members of the Orono, MN community and beyond. 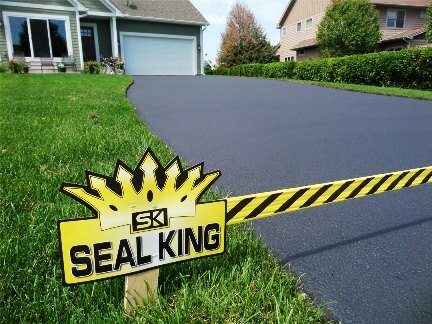 One of the reasons why our clients put their trust in our staff over other sealcoating contractors is thanks to the Seal King Promise. We want you to be completely satisfied with your sealcoating application after your residential or commercial project is complete. If you’re not fully satisfied, reach out to our team before the winter and we’ll make sure to get your issues resolved promptly. If your residential or commercial asphalt in Orono, MN needs added protection along with a facelift, look no further than your trusted sealcoating contractors at Seal King Professional Sealcoating. To request a free quote on an affordable sealcoating application, give our Orono, MN location a call today at (952) 707-0900. This entry was posted	on Tuesday, March 26th, 2019 at 10:40 am	and is filed under Asphalt Sealcoating, Commercial Asphalt Sealcoating Services, Residential Sealcoating. You can follow any responses to this entry through the RSS 2.0 feed. You can leave a response, or trackback from your own site.